Aluminum /Upvc accessories sliding window lock helps to prevent child from the damage of a sliding window. This sliding window safety lock easy to be fixed by turn knob clcockwise. 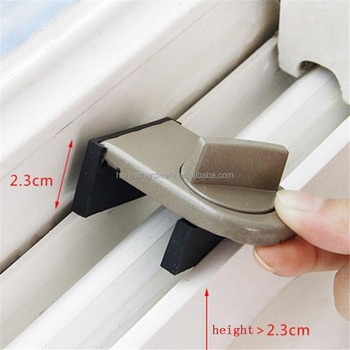 It can prevent sliding widow or door slamming suddenly . Strong technical support OEM and ODM service. Strict QC system to make sure higher quality. Timely response within 24 hours.